As much as I love the idea of a home-made healthy granola bar, I still haven’t found a recipe for a bar that doesn’t crumble apart in my backpack. Neither have I found the recipe for a bar that will fool my kid and make her choose this over the commercial packaged version. Five simple ingredients, mashed together in a food processor, refrigerated, and cut into squares: this was worth giving it a try. 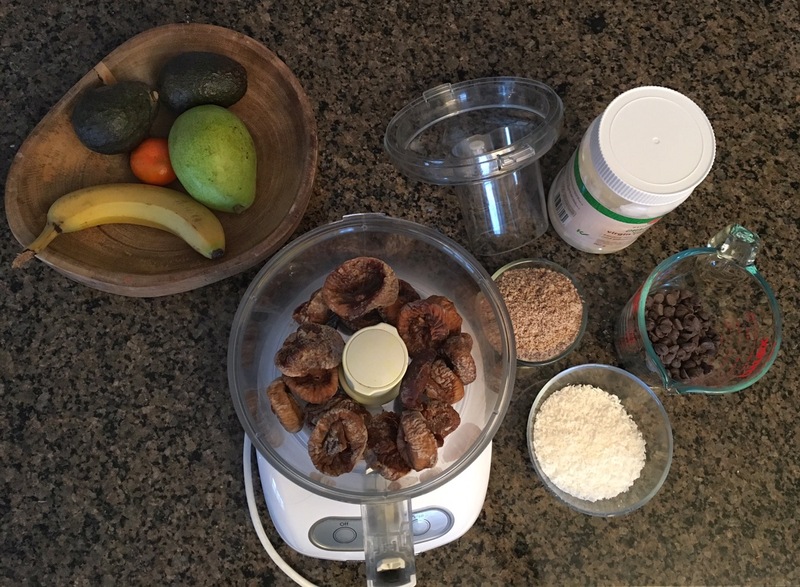 Pulse the figs into a food processor until they form a sticky ball. Add the almond meal and the shredded coconut and pulse until the texture is grainy. In a double boiler, melt the chocolate with the coconut oil. 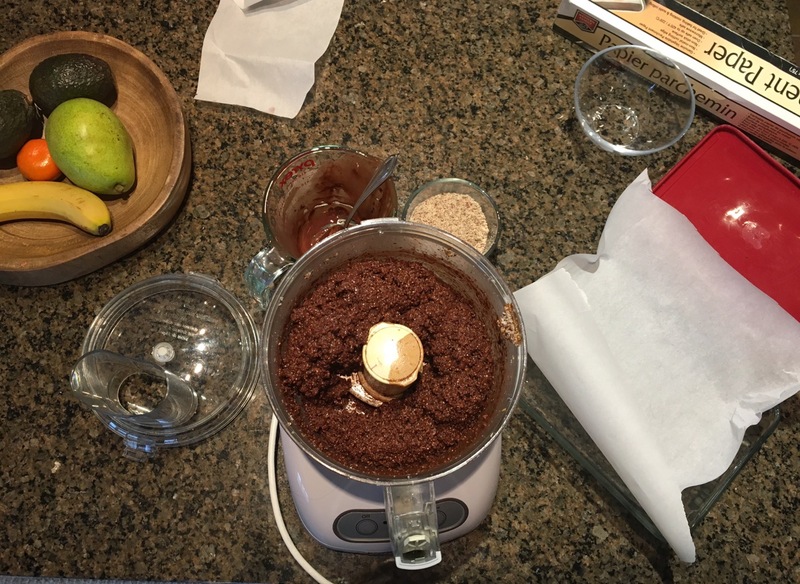 Pour the melted chocolate into the food processor and mix until smooth-ish. Transfer into a rectangle dish lined with parchment paper and pack down with the back of a large spoon. Cover and refrigerate for 3 hours or more before cutting into squares. The result was very good and the “treat” was very popular with adults and kids alike. Packed with nutritious ingredients and very easy to make, I think those squares will become a must for all our winter adventures.